As announced in our previous post we are working on SteemConnect 3, this new version will be improved in many ways. This is the first in a series of posts that aim to explain and go through the changes we are implementing. The most fundamental change from previous versions is the switch to the Steem URI protocol standard for signing transactions. This has huge benefits to both users and developers. Users no longer need to trust a single point of failure with their keys, they can choose from any wallet that implements the standard. Developers can build their applications with SteemConnect without any fear of vendor lock-in, they can always roll their own implementation of the standard and keep all existing users. 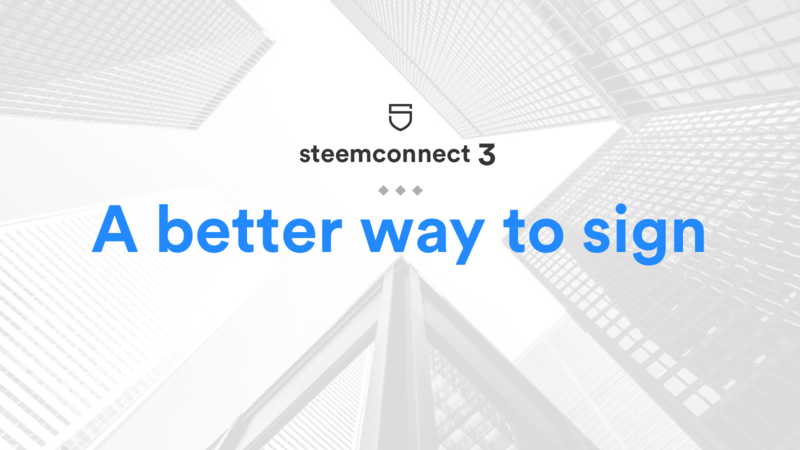 SteemConnect 3 will be a layer on top of this protocol offering applications and services that makes it easy to use for both users and developers. The current SteemConnect website will be replaced with what we call a "Signing portal". It is the place users land when an app asks them for a signature. From there they can scan a QR code to sign with their mobile or click a steem:// link to open a Steem wallet app that they have installed on their device. There will also be an option to sign directly in the browser for users that don't have a wallet set up yet. SteemConnect will offer signing applications for all major platforms. First out will be desktop apps for macOS, Linux and Windows followed by browser extensions and later mobile apps for iOS and Android. You can think of these apps as minimalistic Steem wallets, they will implement key storage and the signing protocol. It is our hope that other Steem wallets will adopt the signing protocol as well. In the next post we will cover the improvements we are making to the posting APIs and how SteemConnect 3 will be more decentralized and resilient. I disagree about the limitations of uri schemes stated in that article. Having callback url's does not exclude native applications at all (they can just have their own uri scheme to deep link back into). I'm also very sceptical that Scatters web socket server is a good idea. For example you can never keep your keys on your phone to sign for a desktop app and it will never work on iOS because you can't run that server in the background there. URIs have additional benefits as well. You can print a "Follow me" T-Shirt with a QR code or create a point of sale system that customers can use with RFID. What about other blockchains, like Bitshares or SounDAC? Couldn't we do something like this that would cover all the graphene blockchains, or even to others? Do you have a github to where I can contribute? I have one main concern, that is tied to the reason why I never implemented SteemConnect in the first place... Will SteemConnect 3 maintain the Authority sharing on the users accounts? Or will that not be needed anymore? Since I don't understand the technology completely I'd love to know how similar this is to KeyChain to it can give me a bearing for what steemconnect3 will be like. I understand that you're going to do something that facilitates more than just chrome which is great. Also could an extension like keychain do a couple things to be the chrome app we use to interface with steemconnect3 i'm pretty used to it but if more apps integrate steemconnect3 I'd be using that anyway. Finally is there any possibility to withhold a permission from an app or even give that app the ability to give the user the choice? There's a lot of talk of extended access to Posting key. Per need basis no one has problems with but with steemmonsters cards being a posting key thing for transfers those users may not want to give steempeak for example extended access to use the posting key and they'd understand they'd give up some of those features that need extended posting key access but it could be their decision to not have those features in return for feeling more safe about their cards. Anyway maybe i'm not thinking about it correctly, just trying to get a grasp. Well i guess i'll bump the comment... since @steemscript or @fabien may not have seen it... we are honestly considering it at @steempeak and @peakmonsters so i do have some questions and just want to understand it better. We are going to release signer apps for web, chrome extension, desktop app etc... these apps integrate a keychain and will work similarly than "Steem Keychain". Our signer apps and SteemConnect SDK will use the "Steem URI" standard to talk to each other, if another signer app / keychain app is using the same standard it would be compatible with our SDK, this would make possible for an user to login and sign tx with a non-SteemConnect signer app. It will not be necessary for the users to add an app account as posting authority. This sounds good. I have had some issues with Steemconnect on some services and I know some developers don't like it that much. It is essential to have ways to use apps without giving them your keys, so this is very welcome. This sounds great to me! Thanks for the update so far. We will implement the changes incrementally, there will no breaking changes for apps already integrating SC2 so you don't need to wait, if there is some required changes to do for apps it will be trivial. I resteemed this article. Thank you for the Steemit community. Thank you for taking the time to post this. 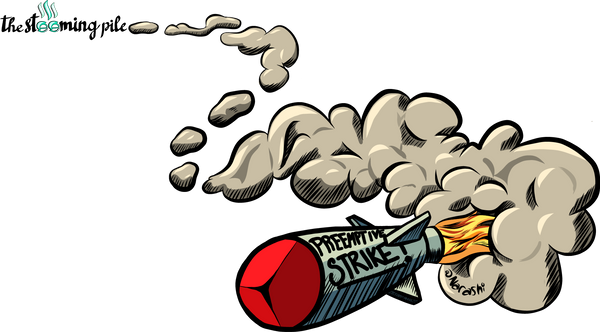 You have received a Preemptive Strike from @patrickulrich who is one of the simulcasters on @thesteemingpile. This post will be featured on our LIVE broadcast Tuesday night at 9:30pm EST on @vimm! If you're available we'd love to have you join us to discuss your post by jumping on the Pile! Again, great work and we hope to see you Tuesday! Yeah I like that it looks original, but still has the “s.” And making it look like a shield was very clever. Super excited to see how this developes! steemwallet will support steem uri as well asap. I hope we can see how we can integrate. great update! Hey @fabian. Really appreciate your work on Steemconnect, one of the most needed services for Steem. I wanted to ask what is your current progress on v3? I have lots of plans for implementing it with other services and apps. It would really help to know an approximate time of the first release.